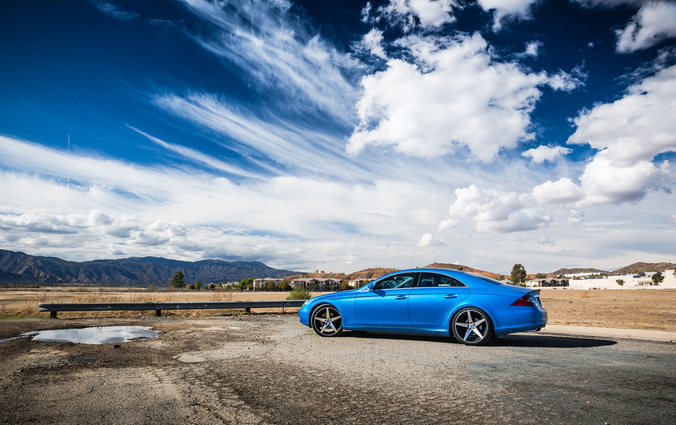 What started out as an innocent luxury ride, was turned into something to break necks. 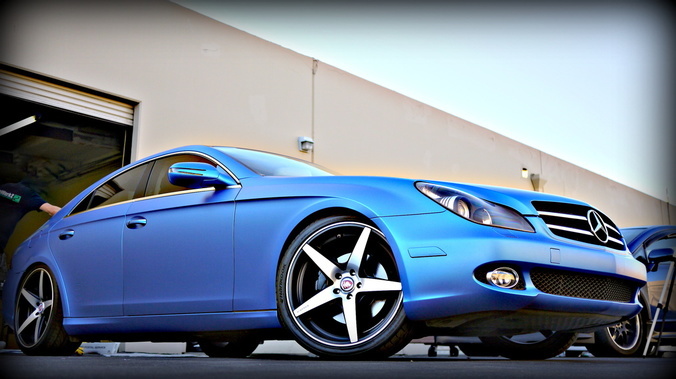 Below is how she looked with a few tasteful mods. 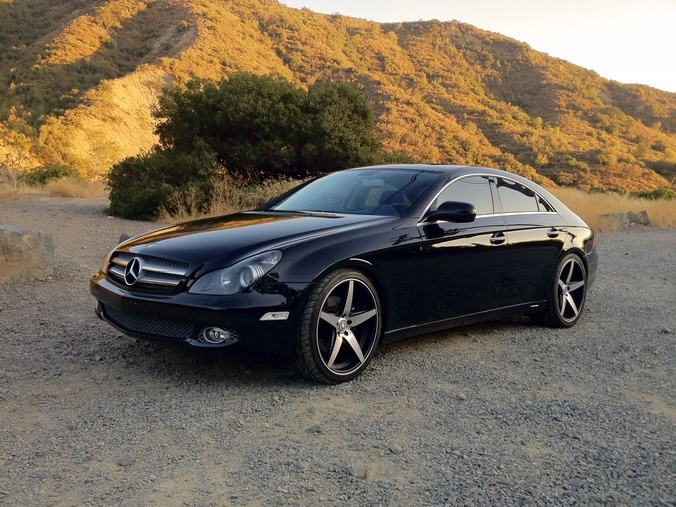 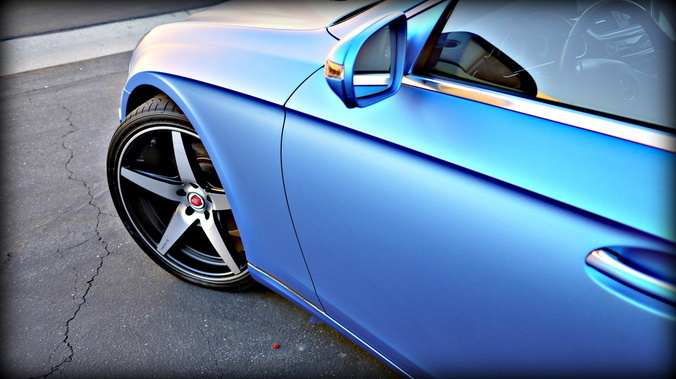 One of the first things she received was Bavaria BC5 Wheels to give it a more luxury look. 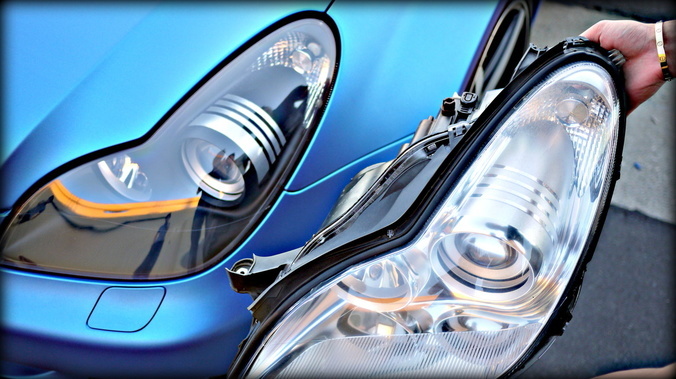 The head light housings were also custom painted black to make it stand out a little more. 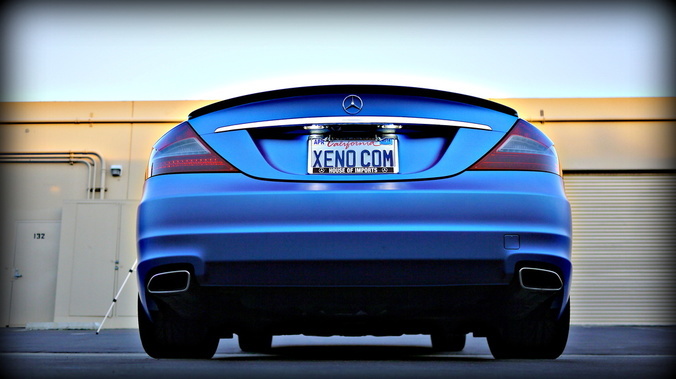 Even though she had those few mods. 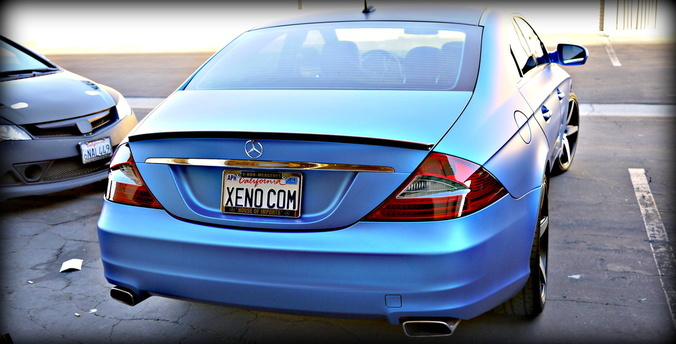 It just didn't turn heads as much as it should. 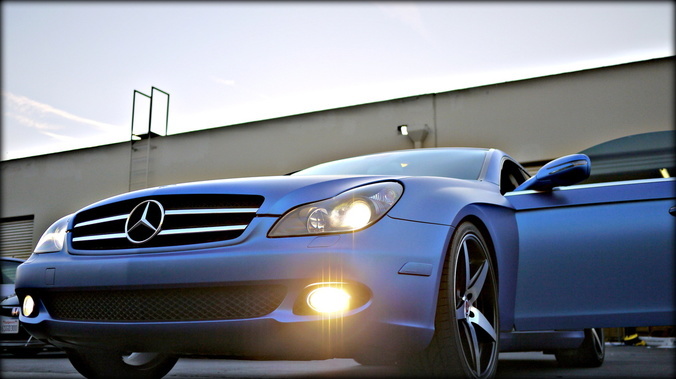 So we set out to Aerowerkz to change that. 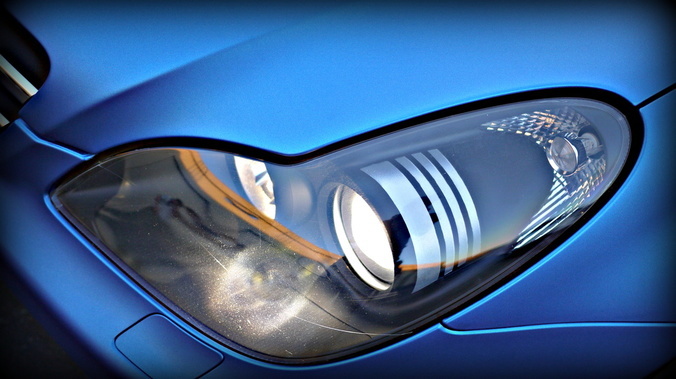 Aside form the amazing wrap job at AeroWerkz, the pitted headlights where brought back to life by them as well. 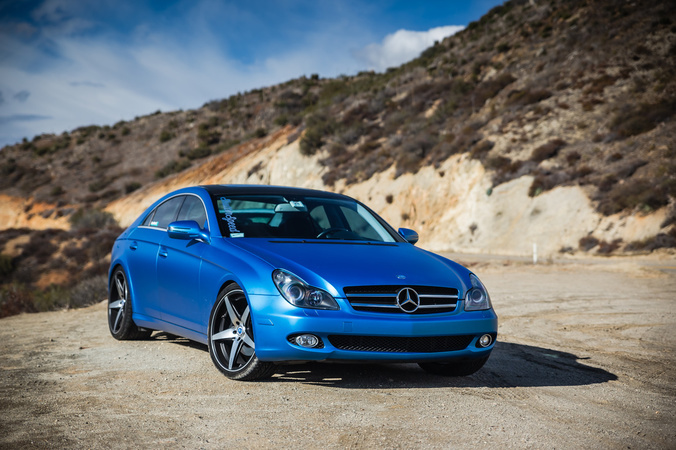 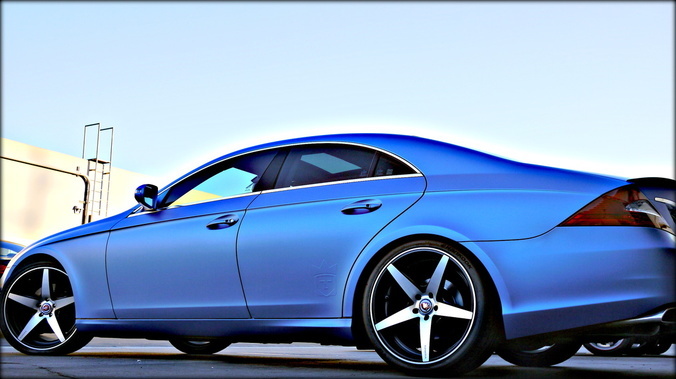 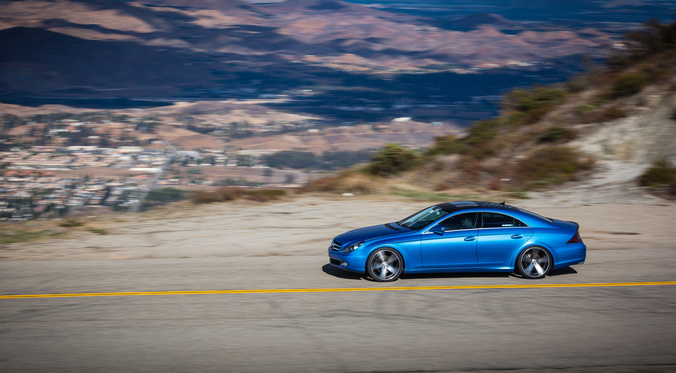 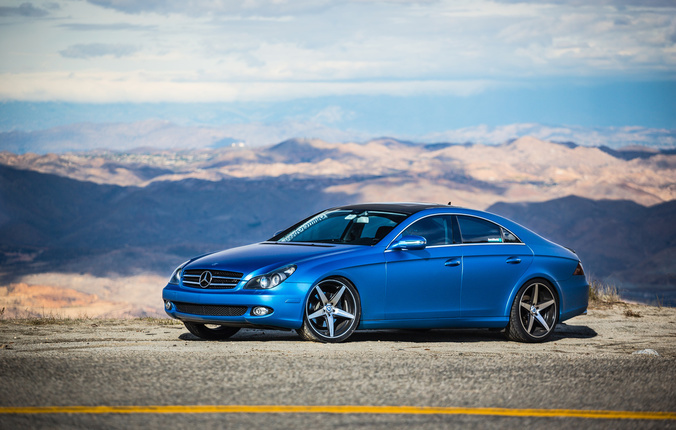 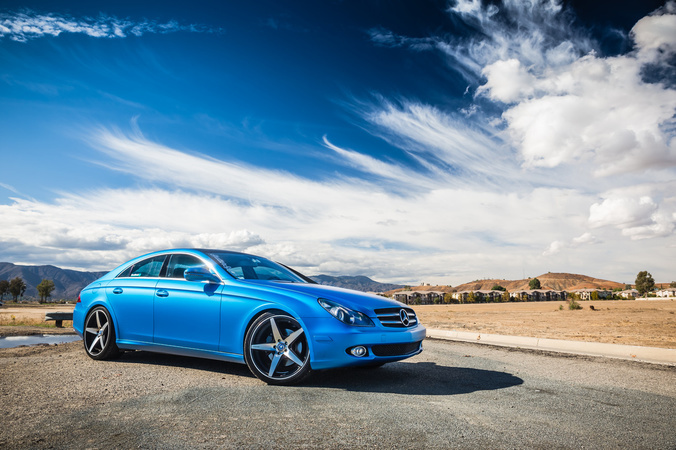 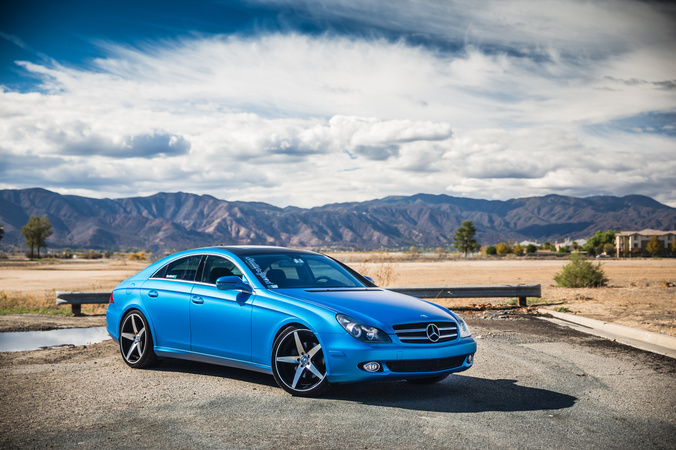 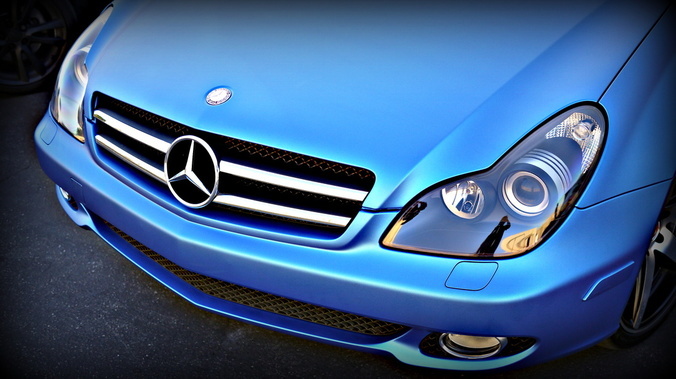 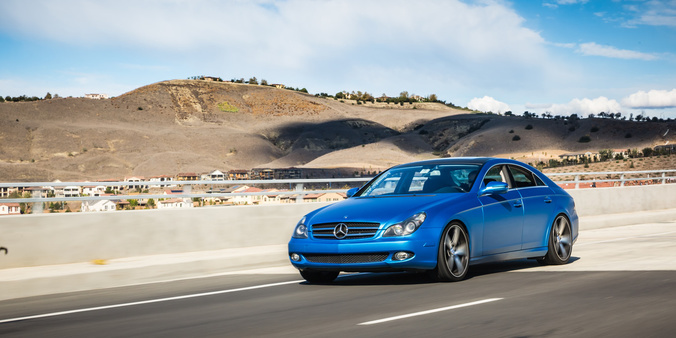 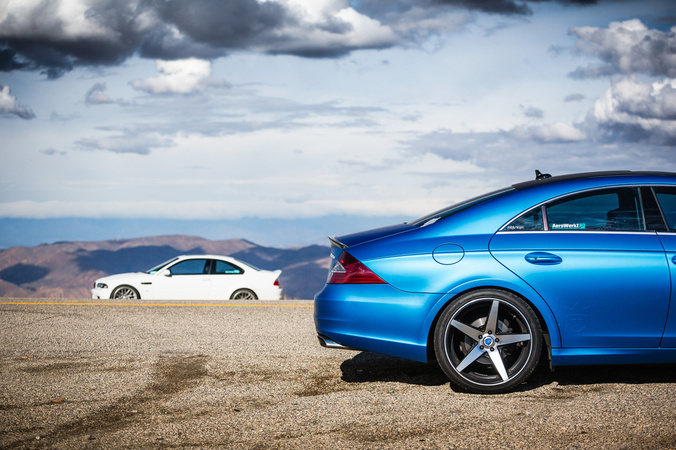 The CarNinja Mercedes-Benz CLS 550 aka the Blue Whale.